Summer Festival – GO BLUE! 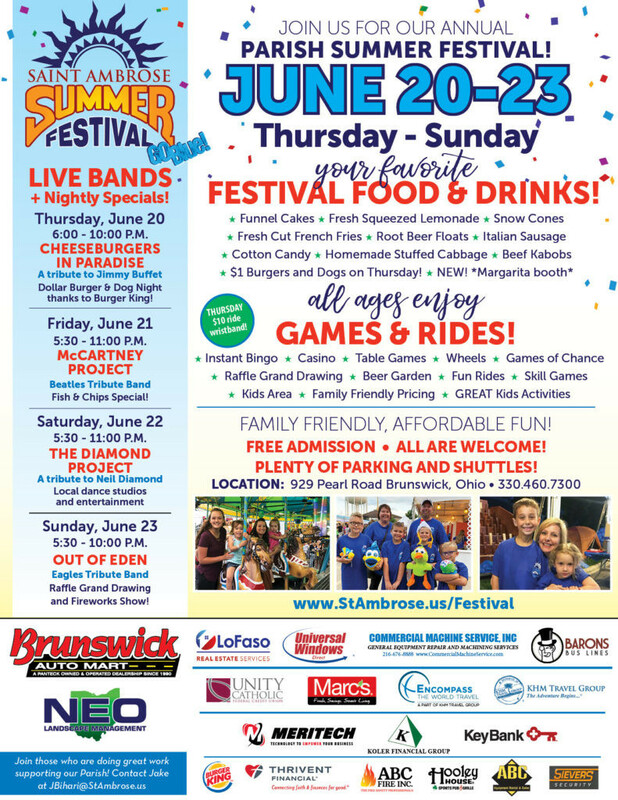 Home/Summer Festival – GO BLUE! Thursday, June 20 – Sunday, June 23! Mark your calendars and invite your family, friend and neighbors to join you for a great event! It takes over 800 volunteers to make our summer festival happen. Don’t wait to sign up! Please consider volunteering for one of our volunteer areas! Volunteer for the Summer Festival!